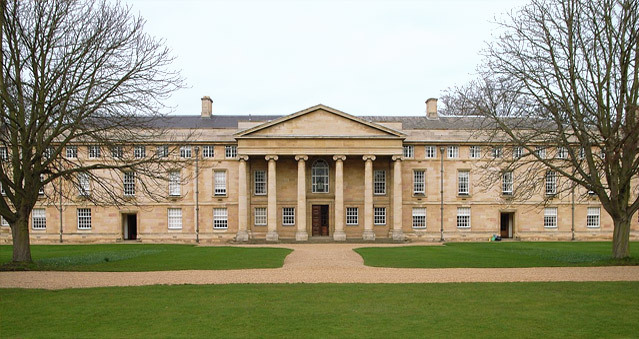 Downing College, in the University of Cambridge, was founded in 1800 by the bequest of Sir George Downing. It’s set beautifully amidst 20 acres of magnificent breath taking grounds. Downing College sits amidst 20 acres of beautiful grounds. The buildings are predominantly neo-classical in style conveying a sense of elegance and spaciousness. Downing College offers a flexible venue with facilities suitable for conferences, meetings, teambuilding events and Private Dining. Downing College also provides accommodation to suit a range of budgets. The college’s Executive Chef, Michael Penny, prepares the menus using locally-sourced ingredients and seasonal food from sustainable sources. Location: within half a mile of the historic centre of Cambridge, approximately 3 miles from the M11. Mainline trains run from Cambridge station (about ¾ mile from Downing College) to London King’s Cross and London Liverpool Street. Downing College is served by regular buses and taxis. If you would like to hold your next event at Downing College contact us on 0207 1676 717 or email us info@rightangleevents.co.uk.